Founded by Emilie Creuzieux and Fabien Marret, Monbento is a French brand inspired by the traditional Japanese bento lunchbox. 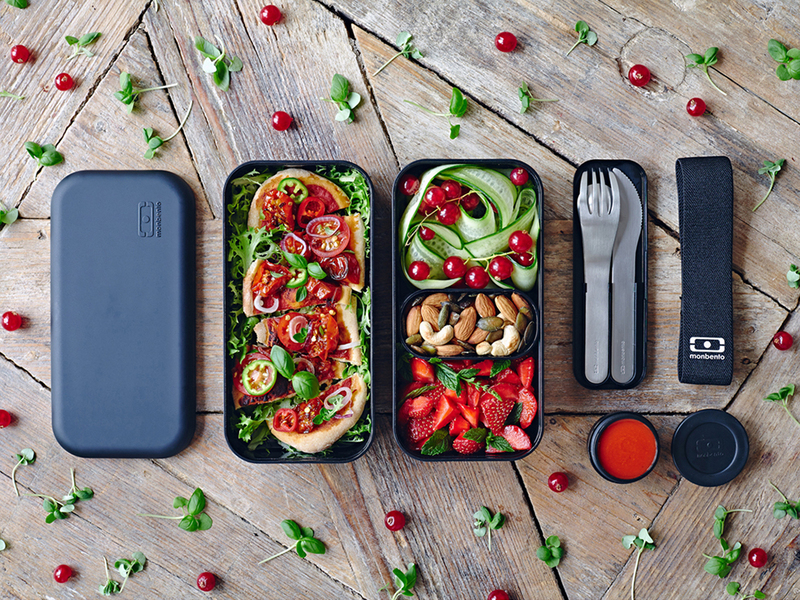 Monbento offers a unique take on to-go lunches, by bringing together the conveninence and simplicity of a traditonal bento-box with contemporary design and aesthetics. Choosing monbento means opting to bring your own food when eating away from home, which is a time and money saving practice that becomes an absolute pleasure when all its limitations are overcome thanks to a tailor-made lunch box that can be adjusted to each user's needs. It means choosing to eat healthier, home-cooked meals, and to use less singe-use plastic. With options for large or small meals for kids and adults, monbento lunchboxes are lightweight, aesthetically pleasing, and always have the user in mind.